Scroll down to the section that says Privacy and Security. 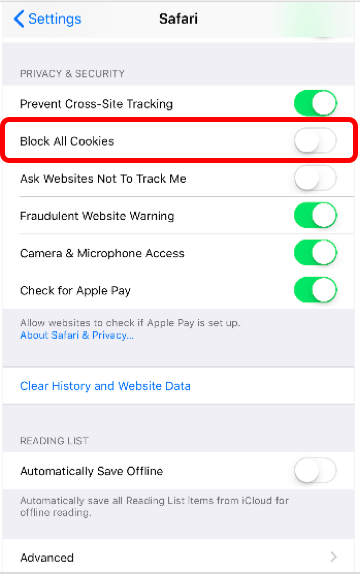 Make sure "Block All Cookies" is turned off. It should NOT be green. Once this is set, you'll be able to login to Force. Open up Chrome to go to the internet. Click on the three vertical dots in the top-right corner to get to the menu. Make sure Cookies are turned on. The toggle should be BLUE as shown below. Open up the web browser to go to the internet. Click on Menu then Settings. 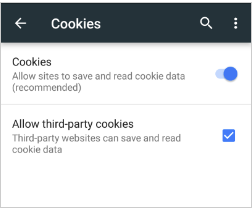 On the Settings menu, click on Privacy & Security. 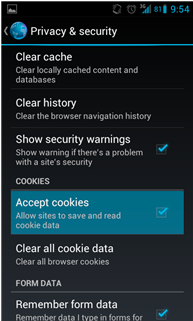 Make sure Accept cookies is turned on and checked off as shown below. Once this is set, you'll be able to login to Force!